Moles come in many shapes and sizes ranging from small dots to very large disfiguring lesions. Moles by definition are benign but any changing “mole” should be examined by an experienced doctor to exclude the possibility of it actually being a skin cancer. For smaller moles these can often be removed under local anaesthetic to improve the cosmetic appearance. For larger moles or those in more complex areas such as eyelids, lips and ears more involved reconstructive procedures such as skin grafts or flaps may be required. A congenital naevus is a mole that is present at birth. They are very common. 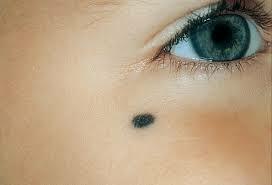 These moles usually grow in proportion to a child and do not take over new areas of the body. They typically get slightly thicker and darker around puberty and the early teen years and then remain stable. 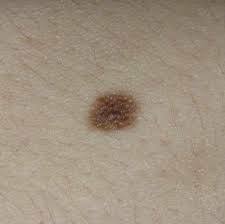 There is controversy as to weather a Congenital Melanocytic Naevus (Brown mole) increases the risk of skin cancer. Generally for all but the largest naevi (those under 20 cm diameter) the risk of getting skin cancer in the naevus is thought to be no higher than getting a skin cancer on another part of the skin. 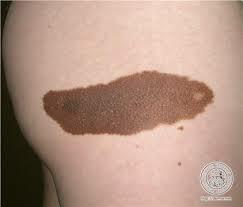 For Caucasians in Australia the risk of getting a melanoma is as high as 1:27. As such treatment of most naevi is for cosmetic reasons. At your appointment your surgeon will discuss the advantages or disadvantages of surgery for your mole.